The 1996 season saw the VFA, now under the control of Football Victoria, officially renamed the VFL. The symbolism of such a move was unmistakable. The old VFL (itself renamed the AFL in 1990), had defeated the VFA at the turnstiles long before, but by re-branding the Association with the very name it had fought against since the bitter breakaway of 1896-1897, the VFL-AFL finally claimed the symbolic victory they had sought for a century. These off-field matters had little effect on the representative uniform with a VFL logo replacing the old VFA shield, a VICsafe logo being added to the back of the jumper and a new sponsor (ITEX) being added to the shorts. - a small Sekem apparel sponsor patch was added to the top left of the jumper front. - shorts sponsor ITEX was re-named "E" in 1998 and the shorts patch was changed accordingly. This match against the SANFL was a curtain-raiser to the Victoria-South Australia State of Origin match. 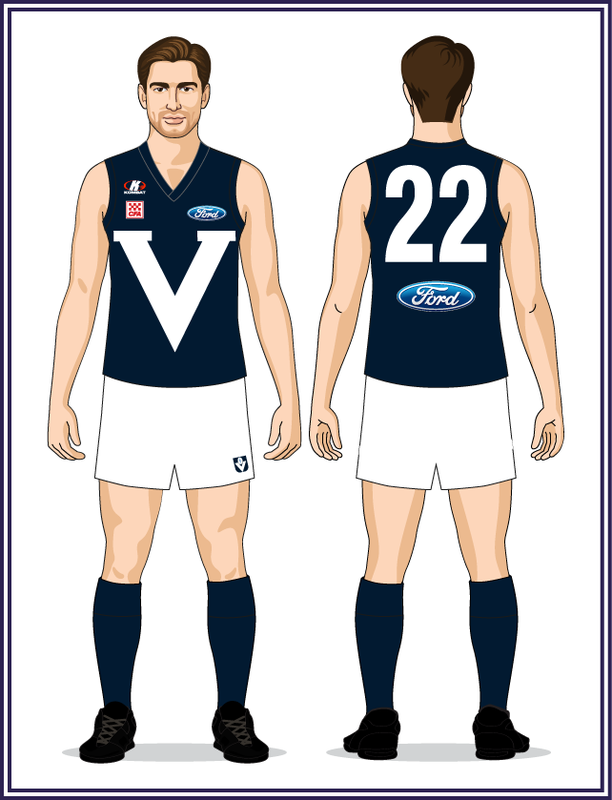 The VFA-VFL uniform was nearly identical to 1998, the only change being the removal of the shorts sponsor. The demise of State of Origin football in 1999 meant the iconic Victorian jumper worn by VFL-AFL state sides since 1950 was no longer in use. This created an opportunity for the VFA-VFL representative team to adopt the famous big white V of their former rivals and make it their own. (L) VFA-VFL shield (changed from navy blue and gold for the 2000 season). (L) TXU (VFA-VFL naming rights sponsor). (R) Cougar Bourbon (representative team sponsor). 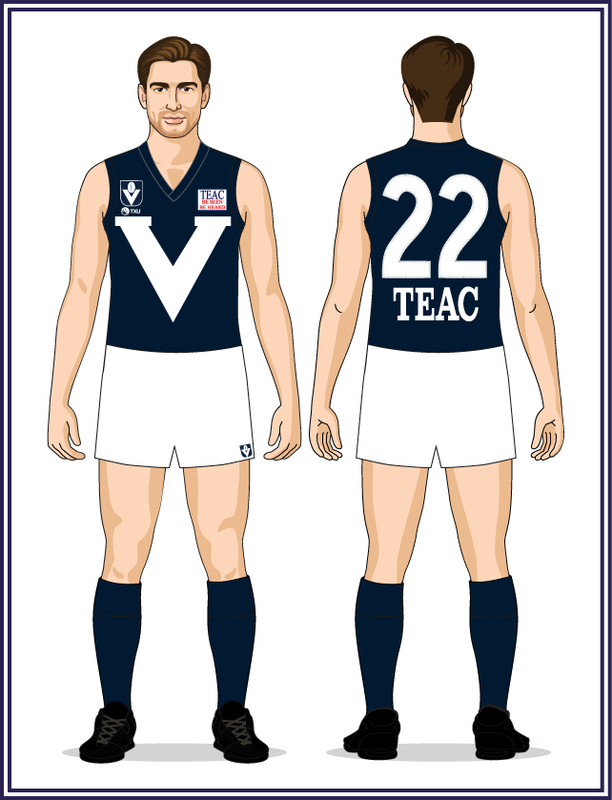 Port Melbourne's jumper sponsor, TEAC took over as sponsors for the VFL representative team in 2002. Author's note - the TEAC slogan on the jumper front reads: "Be Seen. Be Heard." Ironically, it took nearly three months of searching various sources to finally decipher the wording on this (almost) impossible-to-read sponsor patch! (NOTE - the V on this jumper was the classic shape but, due to the longer jumper, was much larger than those ever worn by the VFL-AFL). - (L) VFL shield smaller than usual size. - (R) Sekem logo returned. - (R) TEAC logo was changed to match the logo on the back of the jumper. - Shorts became the longer, baggier version worn at AFL and State League level since the late-1990s/early-2000s. (L) VFL shield returned to normal size. (L) TXU Electricity were re-branded TRU Energy; their jumper patch was changed accordingly. (R) Kombat replaced Sekem as apparel sponsor. (R) large space due to no representative team sponsor being signed after TEAC chose not to renew their contract. (L) VFL Shield moved lower. (L) Australian Football 150 Years patch worn to mark the 150th anniversary of the Australian game. 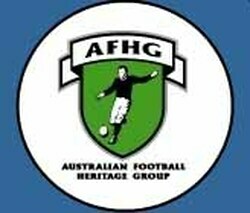 (the same patch appeared on the Victorian jumpers worn in the AFL Hall of Fame match against the Dream Team). (R) Ford logo appeared on the jumper for the first time. (R) Kombat (apparel sponsor) moved from top right to bottom right. (OTHER) numbers changed from the traditional footy font to arial font. (L) Kombat patch moved again, this time from bottom right to top left. (L) VFL shield replaced by the Country Fire Authority "CFA" logo. (R) Ford continued as representative team sponsor for a second season. The classic Big V was reduced to standard size, the only time it was worn at "normal" size on a VFA-VFL rep jumper other than the 1980-1982 uniform. (L) Peter Jackson Melbourne became new naming rights sponsors of the VFA-VFL. Their logo was added above the VFL shield (and also on the jumper back). (L) Kombat's final appearance on the representative jumper. (R) Acacia Learning and Development patch added. (R) player numbers worn on the jumper front for the first time in VFA-VFL representative history. (L) AFL Victoria-Peter Jackson VFL logo. energy company signed-on for a single year sponsorship in their home state. (R) no sponsor so the front numbers moved higher on the jumper. - serifs on the top of the Big V were changed to oversized/non-standard thickness. - rear numbers returned to the traditional footy font. - shorts logo changed from VFL Shield to the new AFL VIC - PJVFL logo. - navy blue bands added to front and rear of the shorts. (L) no sponsor so the AFL Victoria-PJVFL patch was moved lower, parallel to the front numbers. (OTHER) shorts changed to navy blue with white bands (first navy blue shorts since 1999). (FRONT) the logo of new apparel sponsor CGR was added to the neck of the jumper and right hand side of the shorts. (FRONT) a "jock tag" was added to the bottom RHS of the jumper. 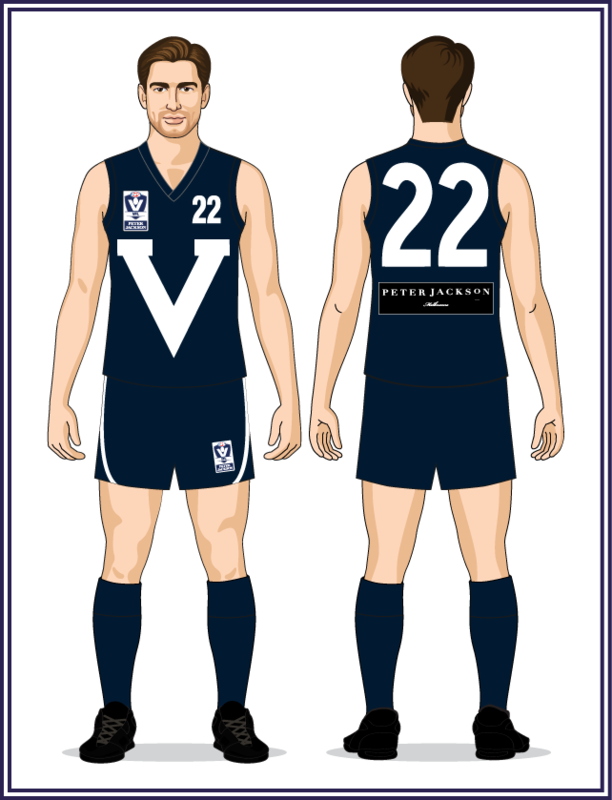 It featured the PJVFL logo and the CGR logo (the V returned to normal size to allow this tag to fit on the jumper). (REAR) Peter Jackson logo changed from the company's actual logo (worn 2012-14) to the font used on the AFL Victoria-PJVFL logo. (OTHER) In a branding move copied from the AFL, league logos were added to the base of each number.